Indian Cricketers have always been in news either for their performance on the playground or for their affairs. In a country where cricket is a religion, it is not surprising that cricketer’s affairs make their way to the newspapers front page. Interestingly the most talked about affairs of Indian Cricketers are the ones with the Bollywood damsel. Like magnets, these two famous worlds of cricket and movies attract each other. Here are a few famous affairs of the Indian cricketers. The hottest affair of Virat Kohli and Anushka Sharma is also the latest one ruling the tabloids. Both are successful at their individual work field and are known to root for each other in public. They are always seen together and have never denied their relationship. Now, only time will say whether this affair will ever transform to marriage or not. No matter what they will always be touted as the hottest and most glamorous couple. Actress Geeta Basra and spinner Harbhajan Singh kept their affair under wraps, However, they soon tied the knot and recently have been blessed with a boy baby completing their family. Yuvraj Singh is well known for his string of affairs. Amongst them, the one that hogged the maximum limelight was the one with Kim Sharma. Kim Sharma the Bollywood actress was often seen with her arm candy Yuvraj. 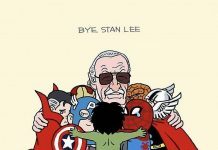 However, they later parted ways. Yuvraj moved on and recently got married to another Bollywood actress Hazel Keech. 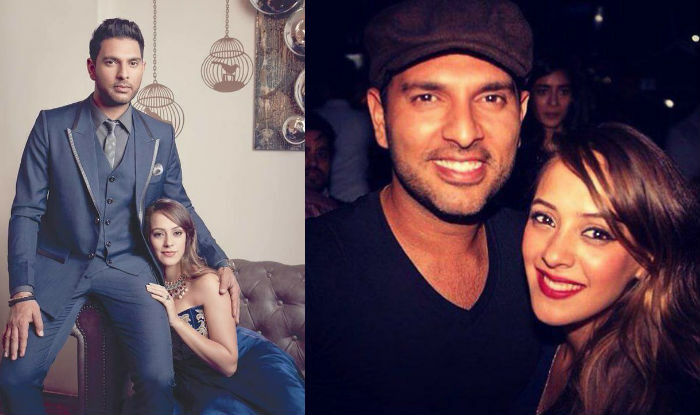 yuvraj moved on and recently got married to another Bollywood actress Hazel Keech. This affair is touted as the most controversial affair between tinsel town and the world of cricket. Neena Gupta is a well-known face both on television as well as the silver screen. 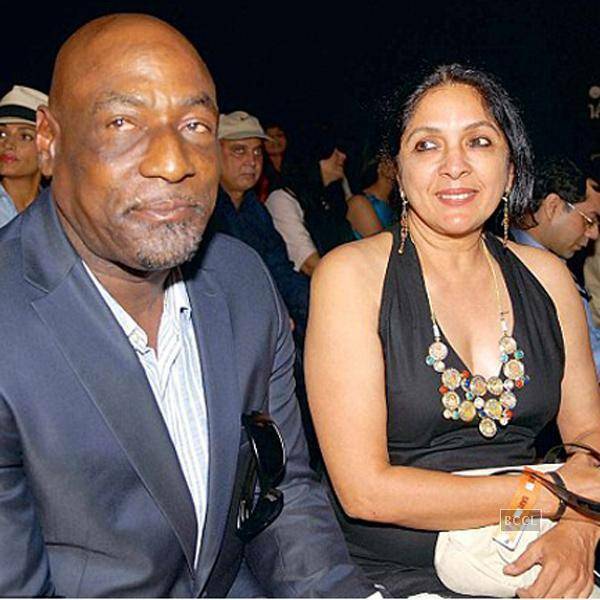 On the other hand, Sir Vivian Richards needs no introduction to his name. Though Richards was married, they fell in love and Neena gave birth to Masaba their daughter. Later they separated paths but have come together at various events for their daughter Masaba. This is undoubtedly one of the most long lasting affairs of a cricketer that actually led to a happy marriage. An amalgamation of a leading tinsel town diva and a famous cricketer with a royal lineage. They first met through common friends and fell in love. 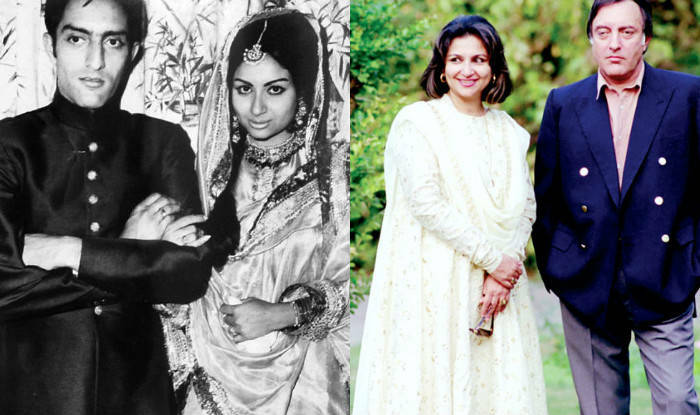 Pataudi is known to have persuaded Sharmila till she said yes to marriage. They soon got married and lived a happy life with 3 kids – Sana, Saif, and Soha. The couple was always seen together at various events till 2011 when Mansoor Ali expired. Though there are in numerous affairs of cricketers the above one’s are few of the famous and notorious ones. I love the Jodi of Anushka Sharma and Virat Kohli. They are cute couple. I wish they will tie in a knot of marriage soon.